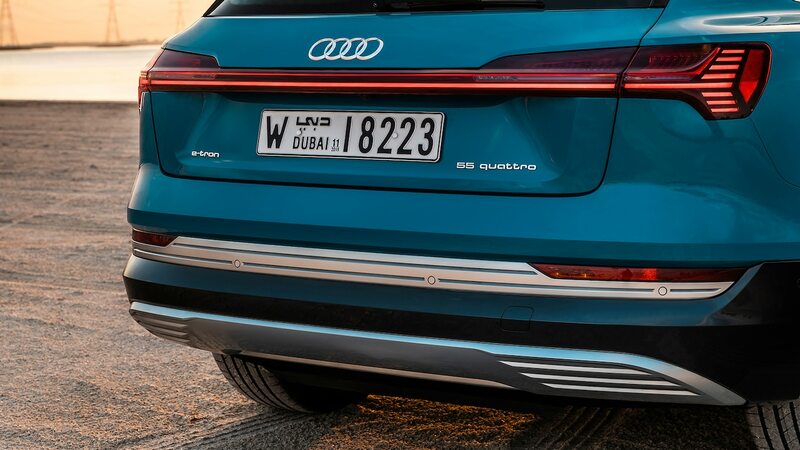 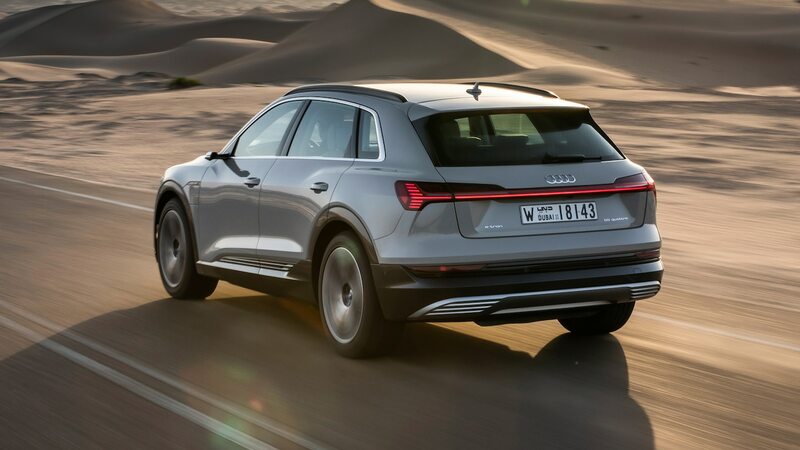 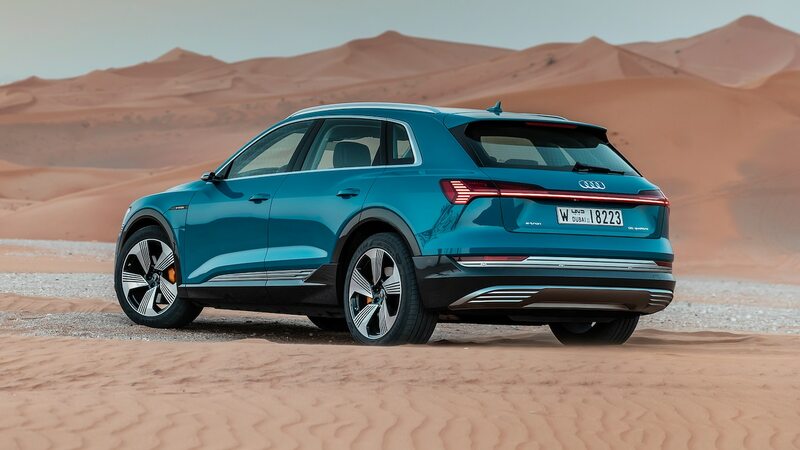 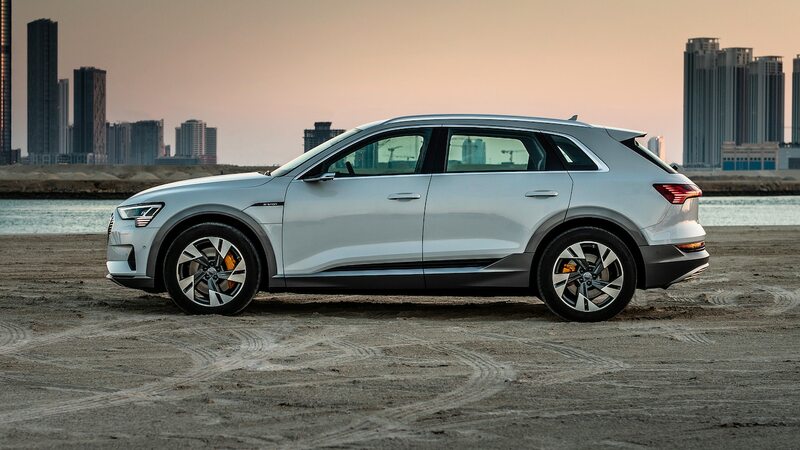 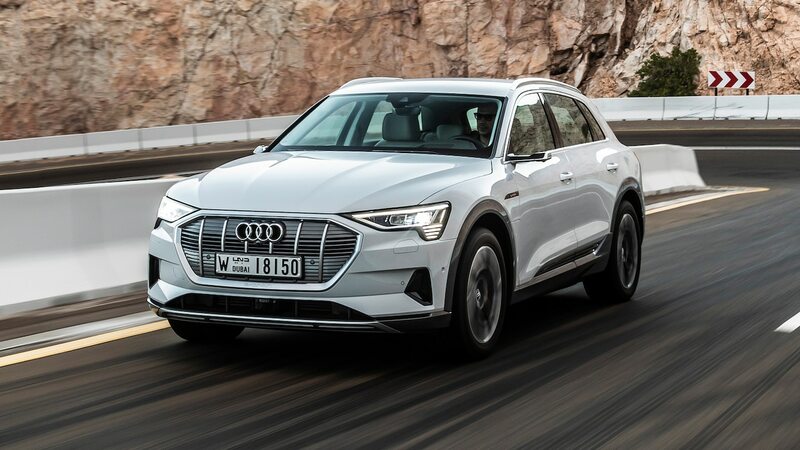 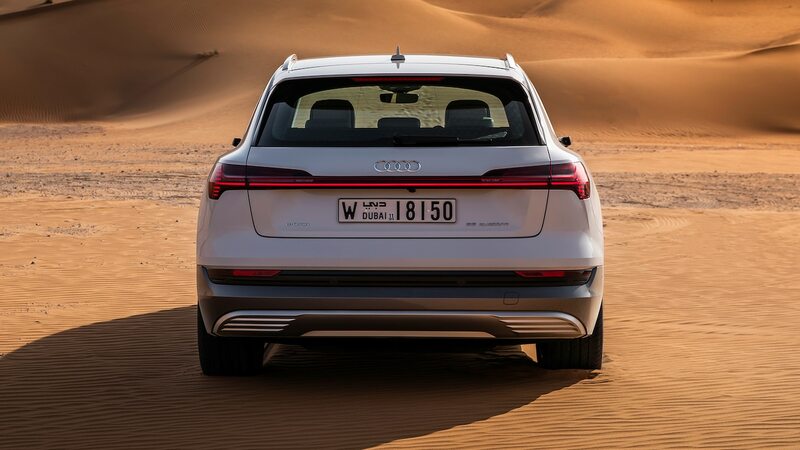 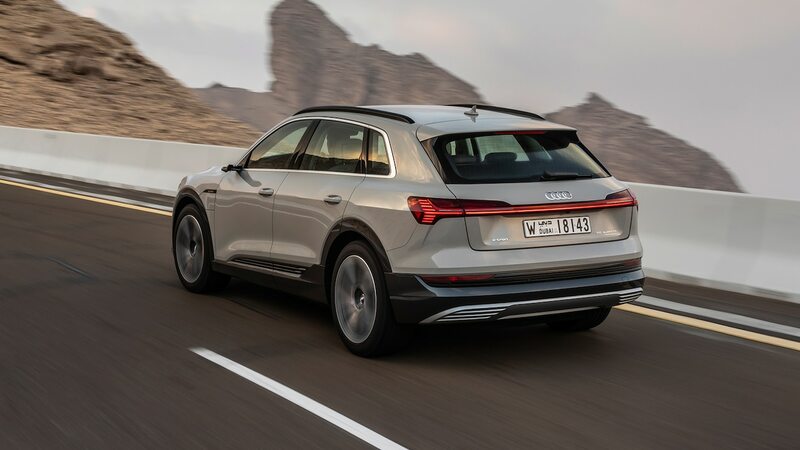 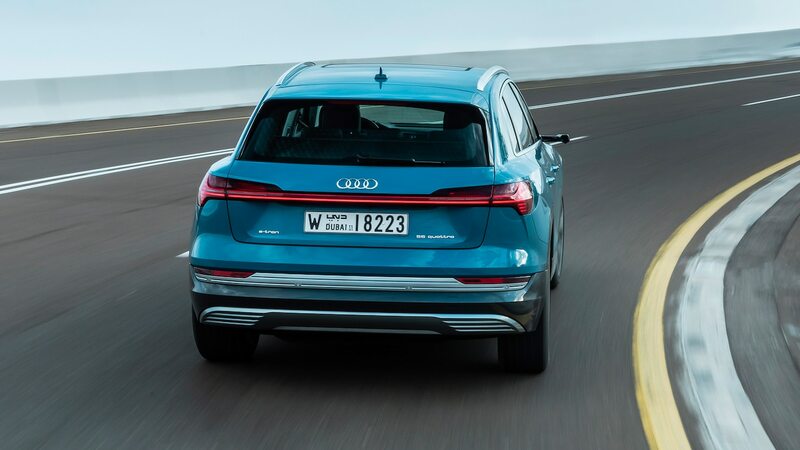 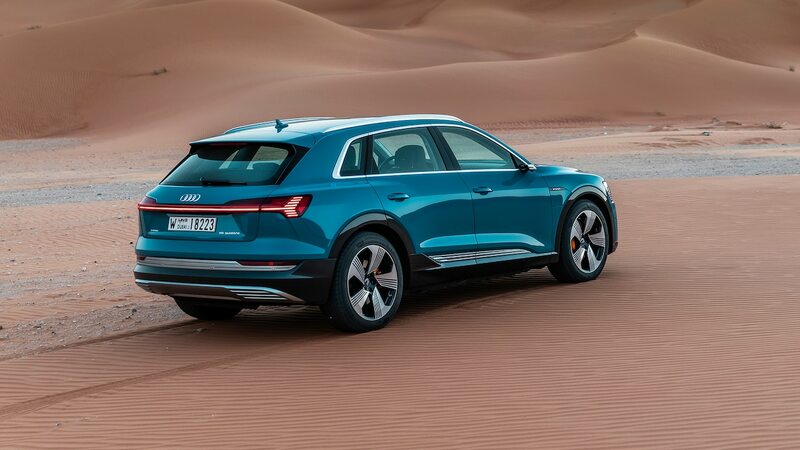 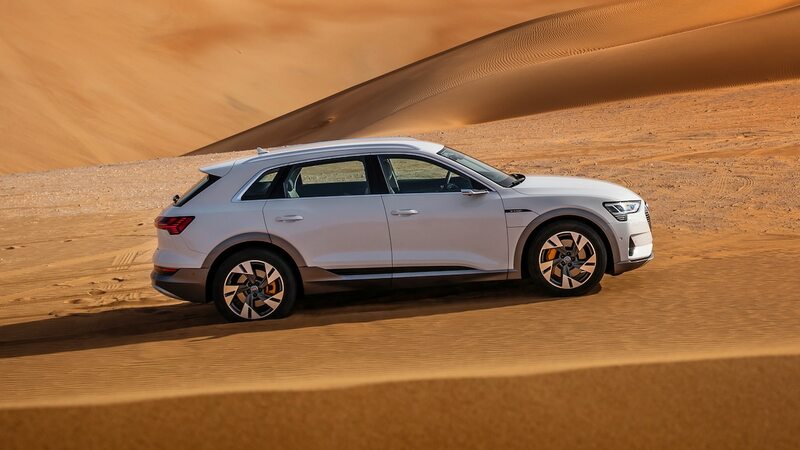 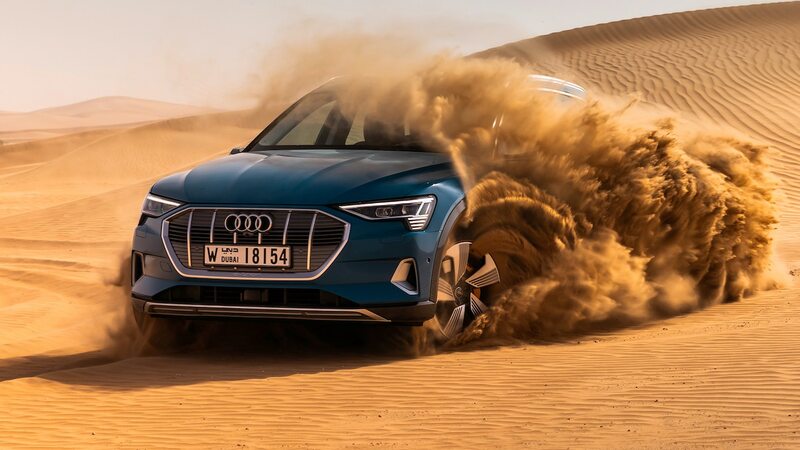 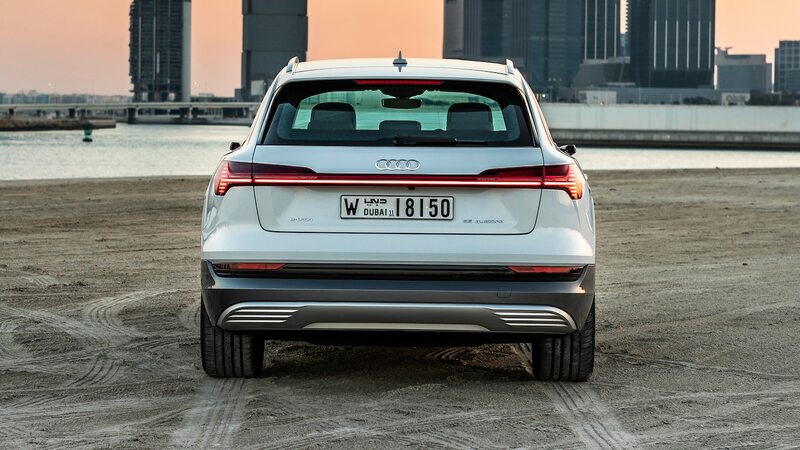 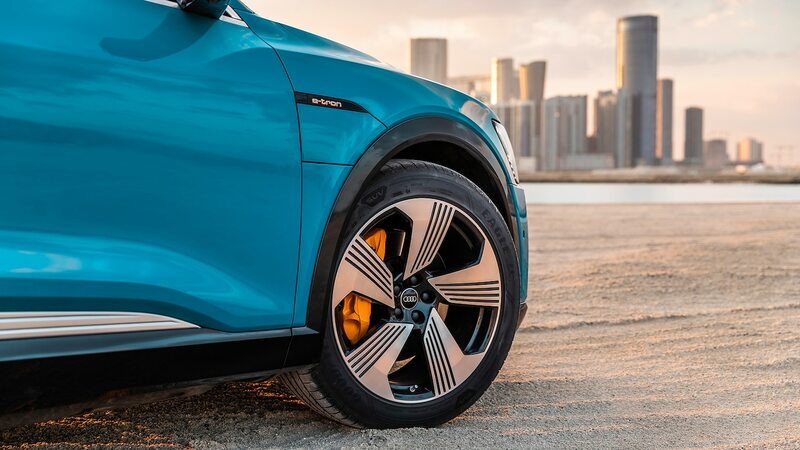 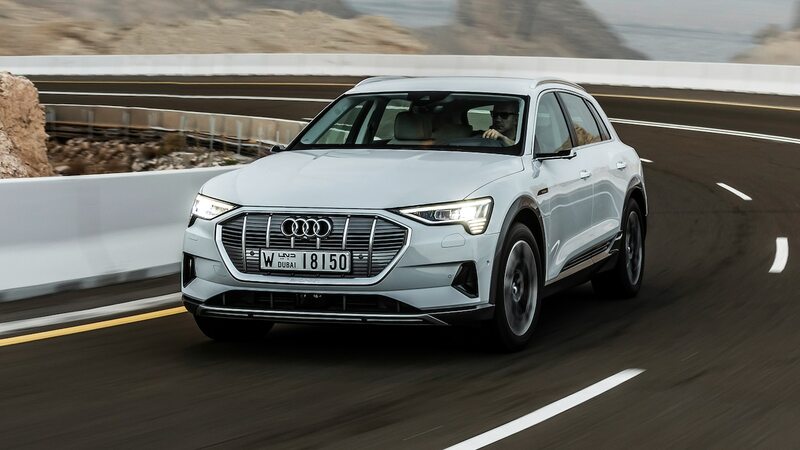 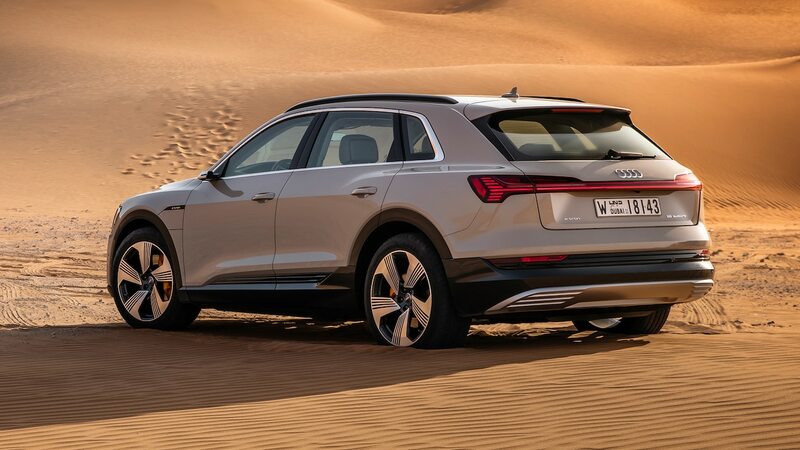 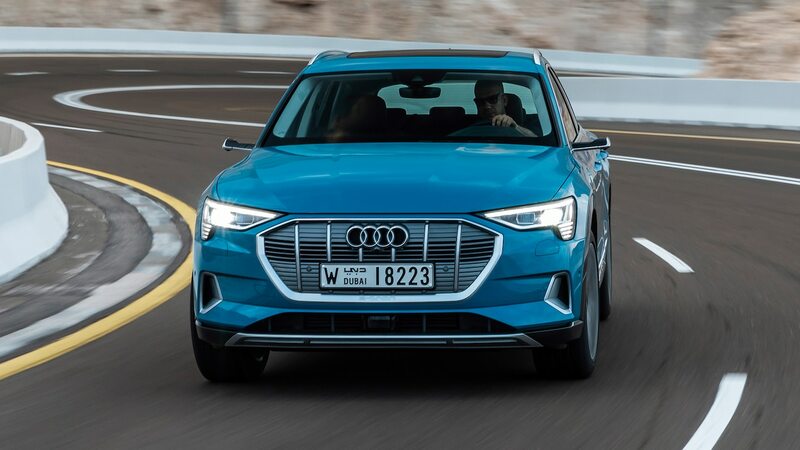 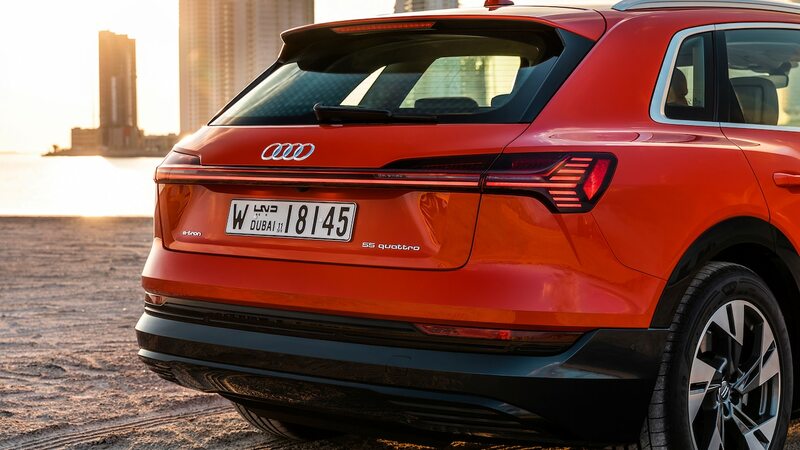 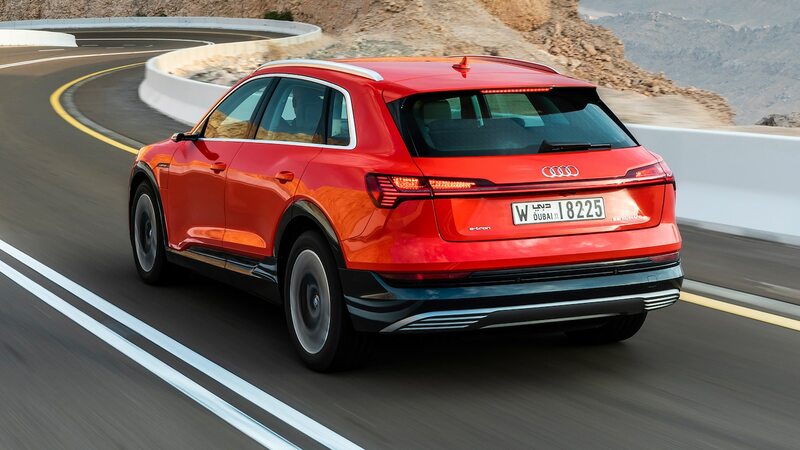 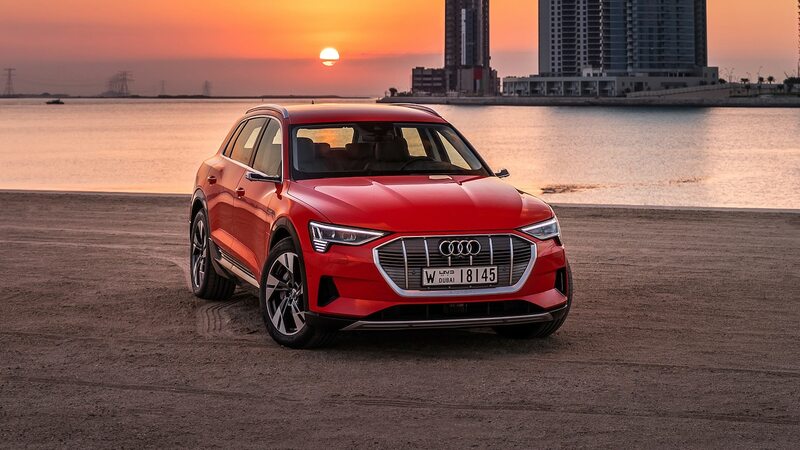 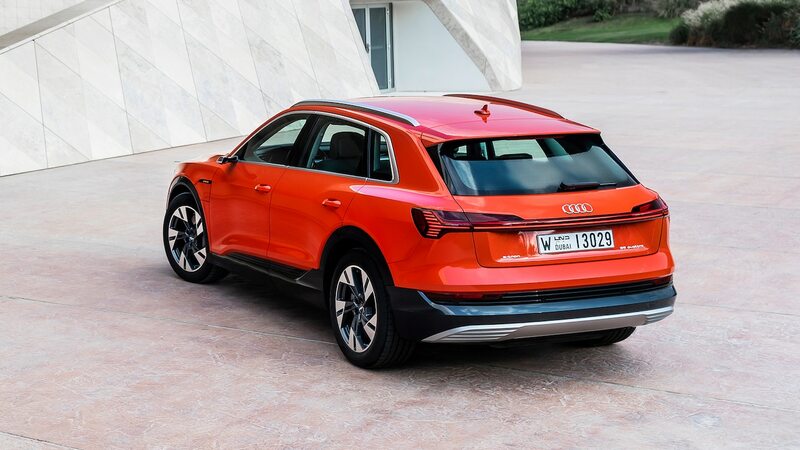 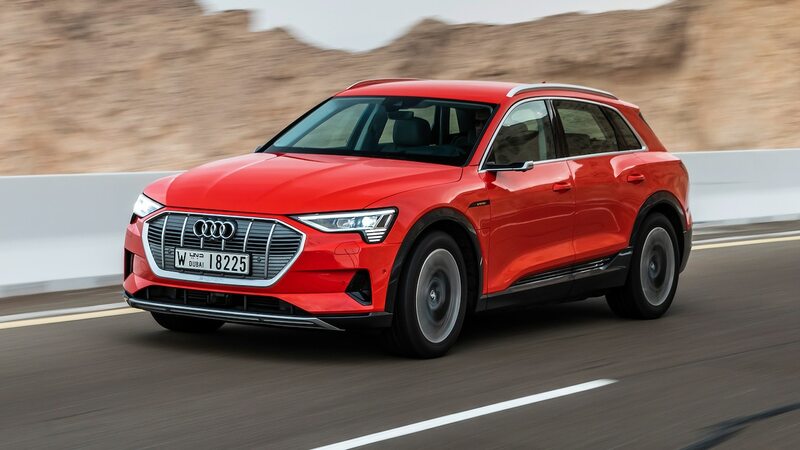 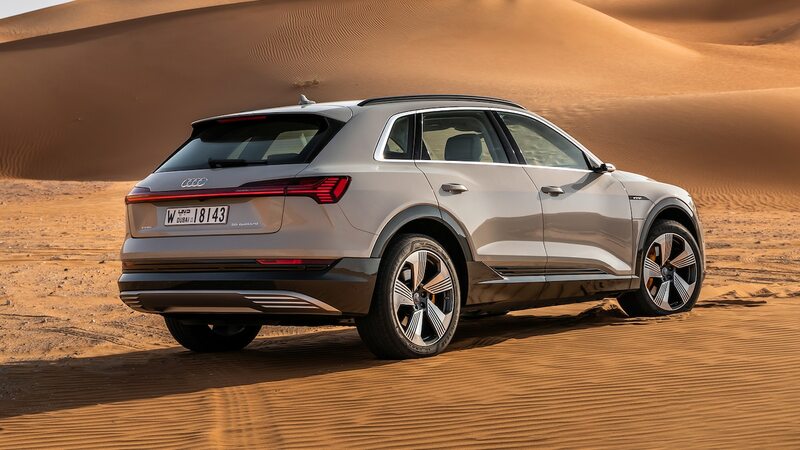 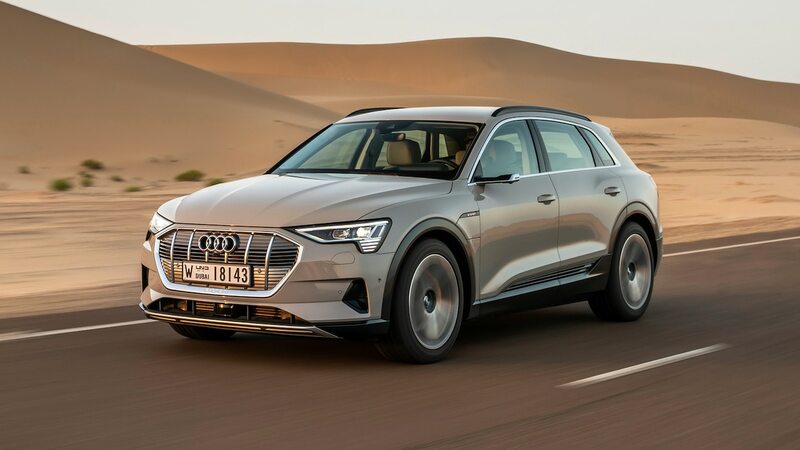 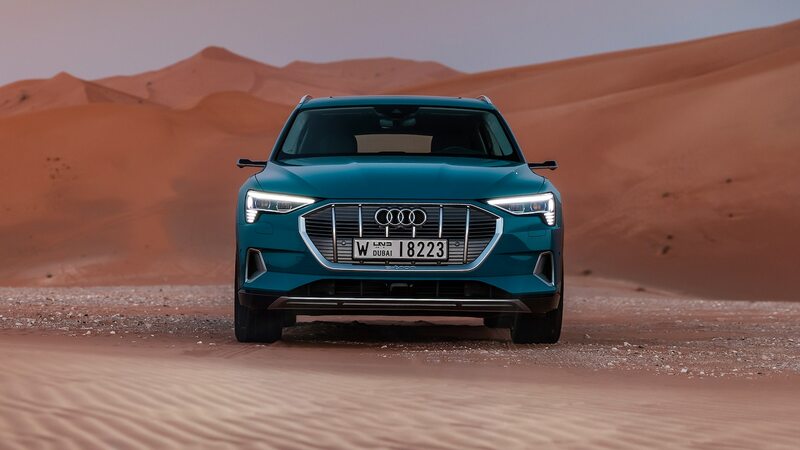 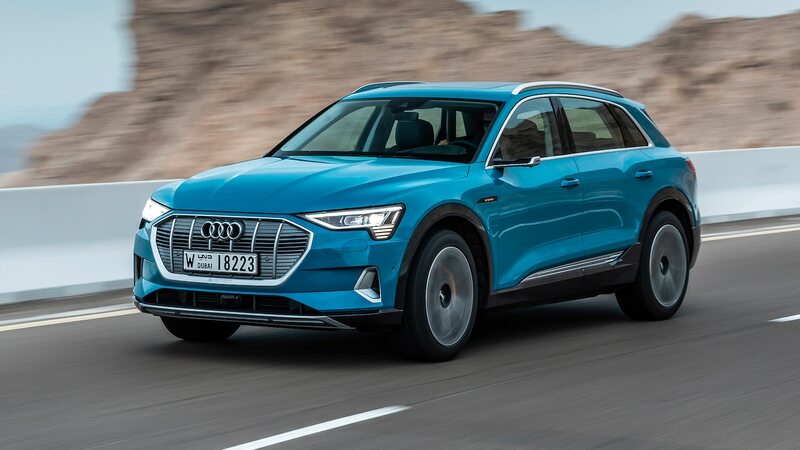 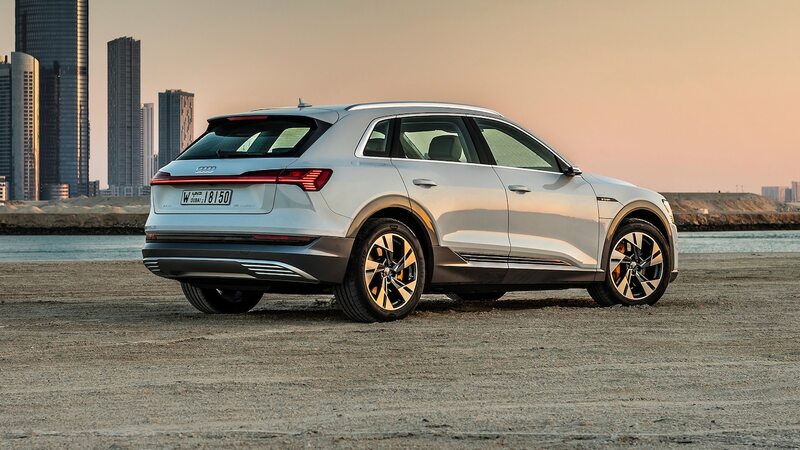 As Audi gets ready to deliver its first E-Trons next month, it is finally revealing the range estimate for its first fully electric SUV. 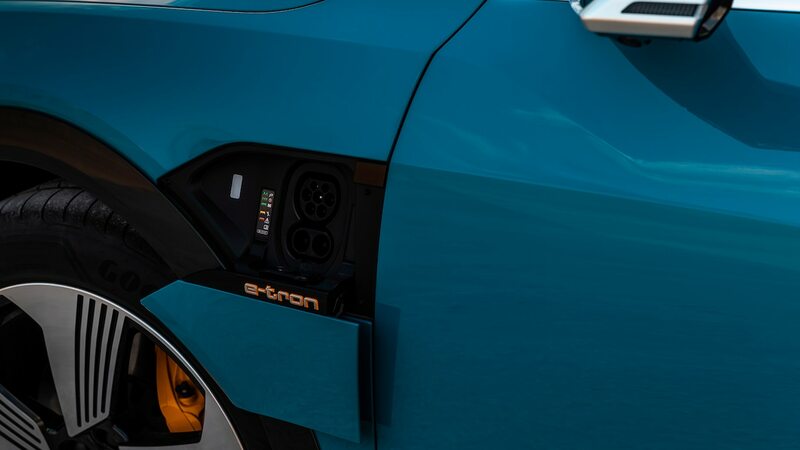 As we expected, the EPA estimate comes in lower than its competitors at 204 miles (328 km) per charge. 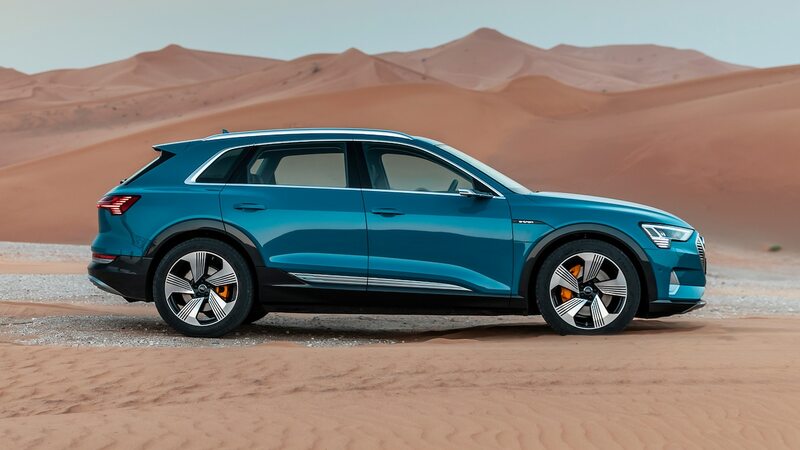 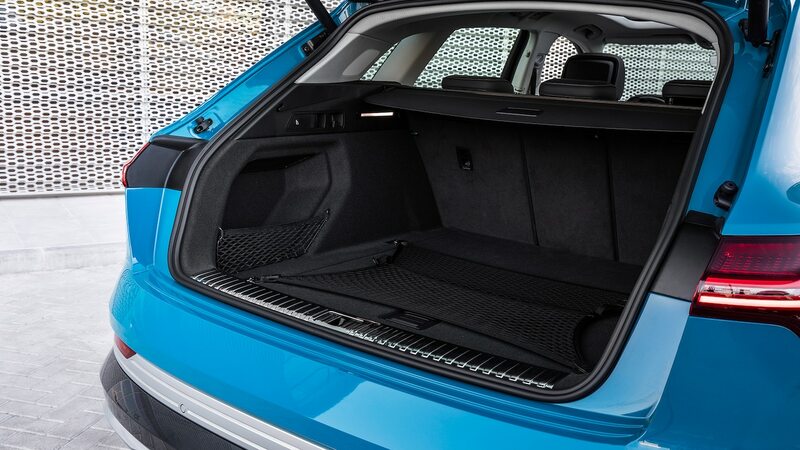 In comparison, the Jaguar I-Pace boasts 234 miles (376 km) of range. 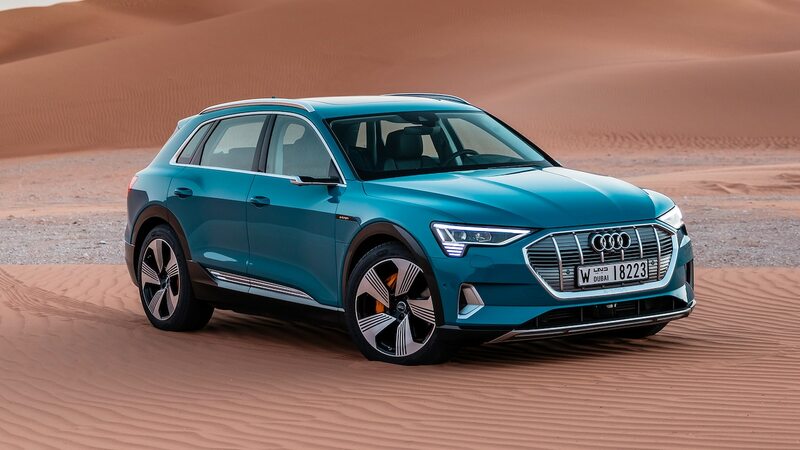 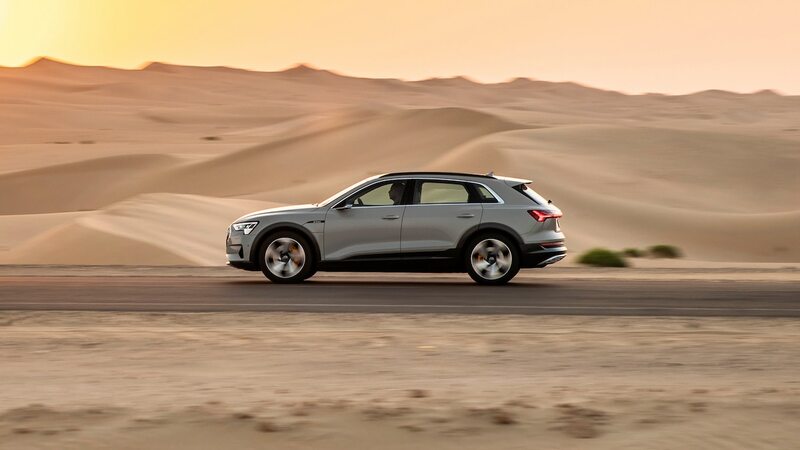 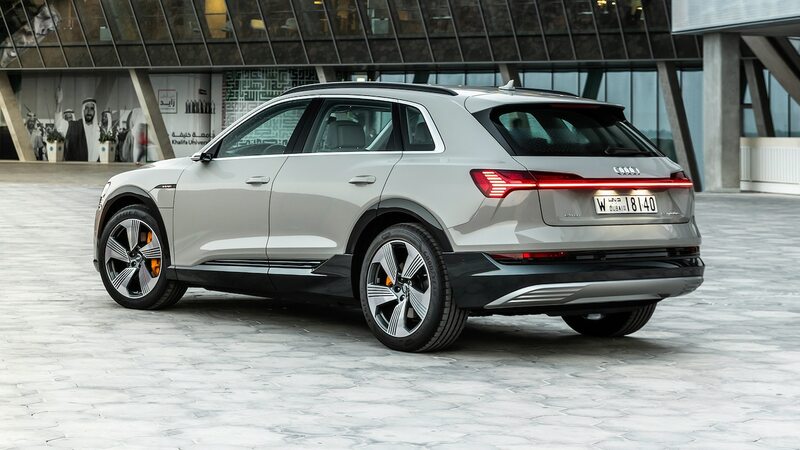 That model also has a lower starting price of $70,525 USD before incentives, compared to the E-Tron’s $75,795 USD. 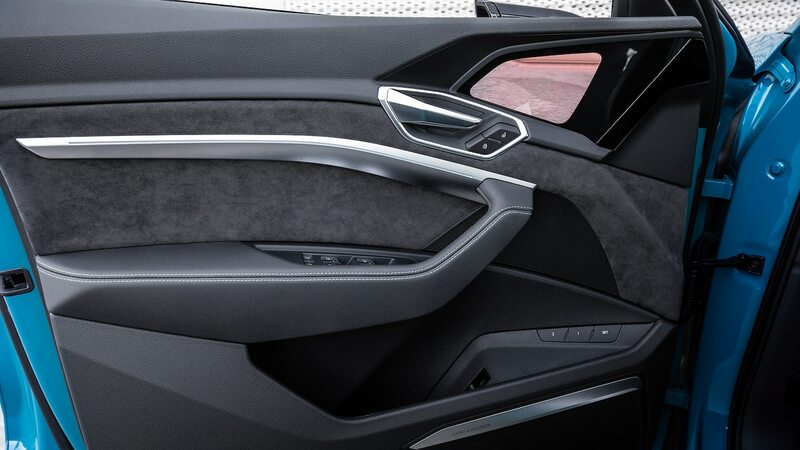 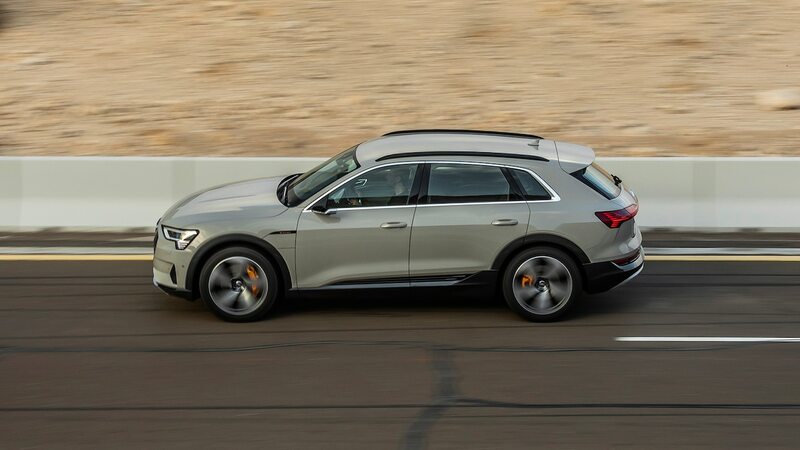 The Tesla Model X boasts between 289 and 295 miles (465 and 475 km) of range, now that Tesla lopped off the lower trim levels that made the SUV more affordable. 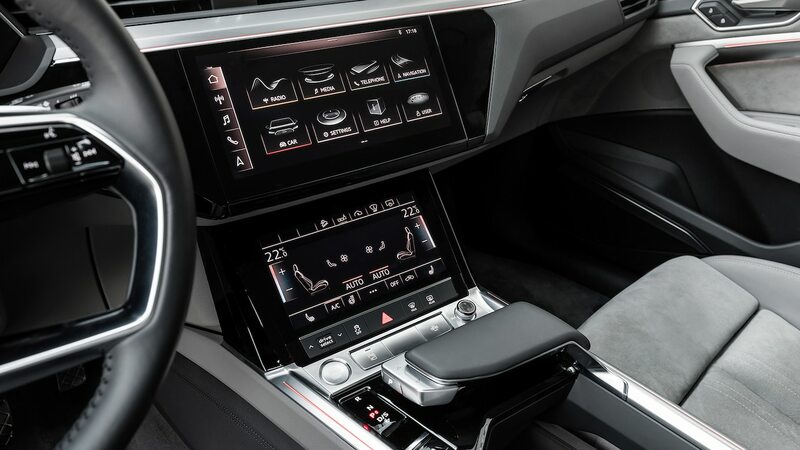 Now, the starting price is pretty high at $90,700 USD. 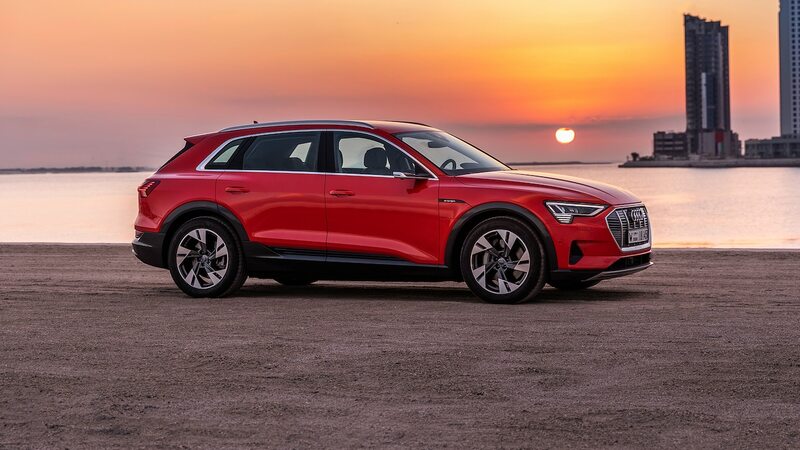 Plus right now, it is only eligible for half the available $7,500 USD federal tax credit since Tesla has reached the 200,000-sales mark, which triggers a phaseout of incentives for the automaker. 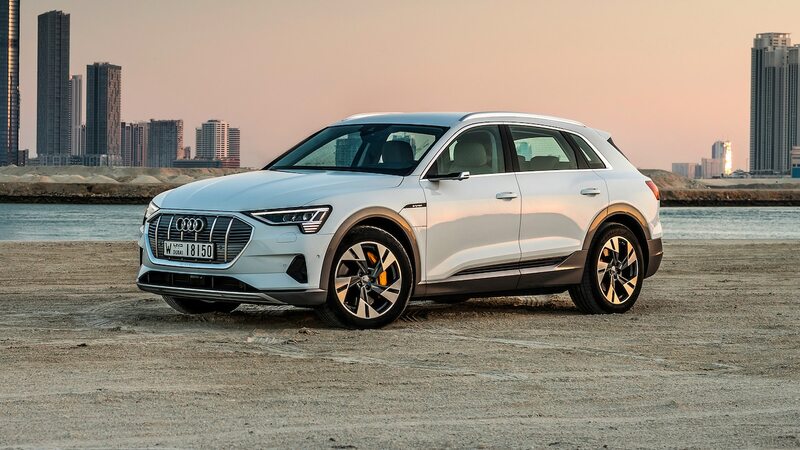 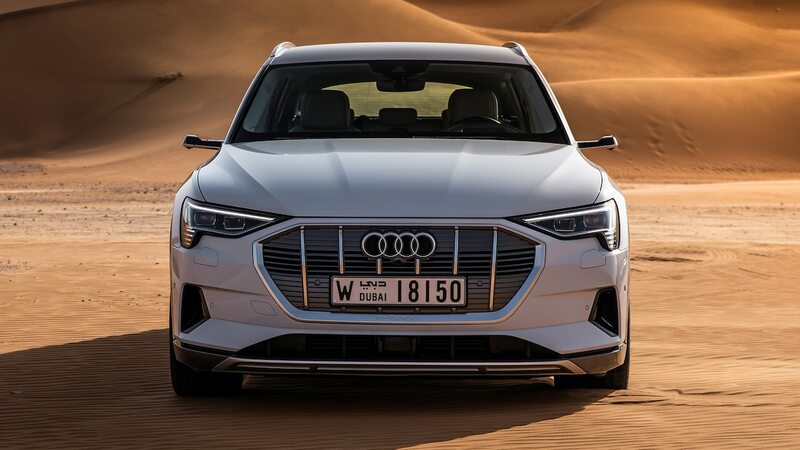 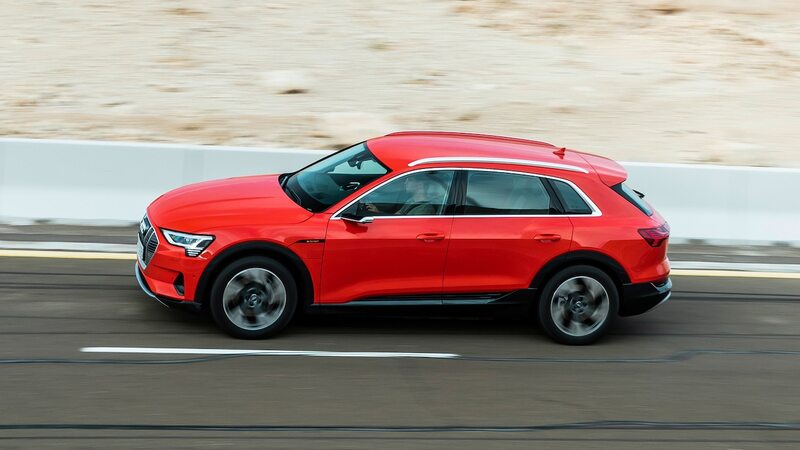 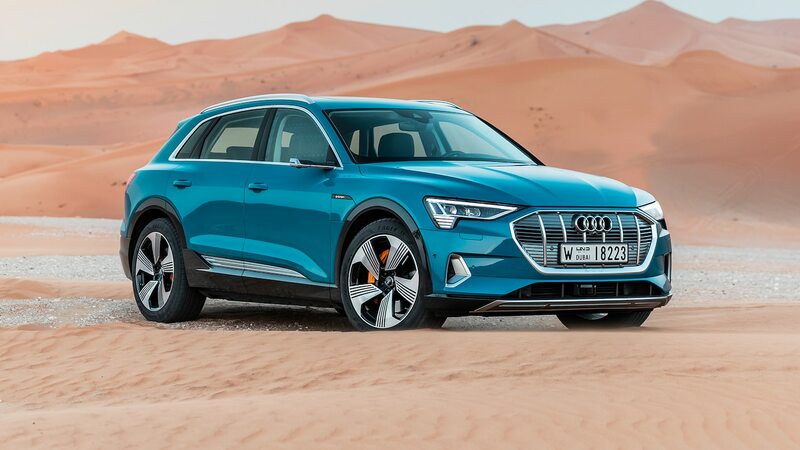 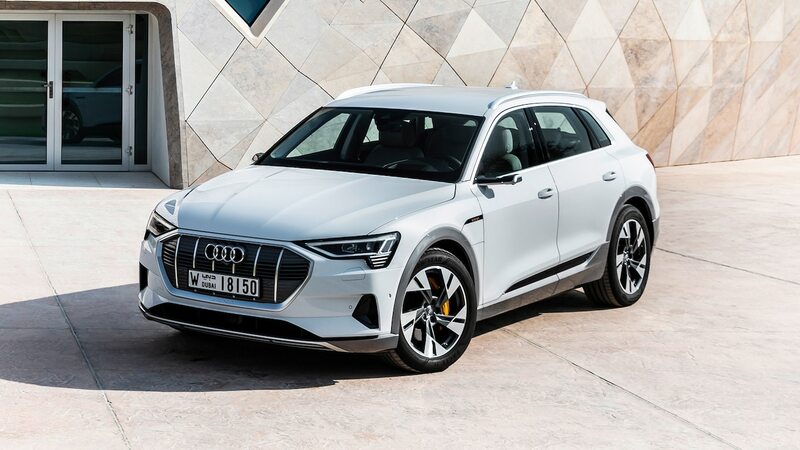 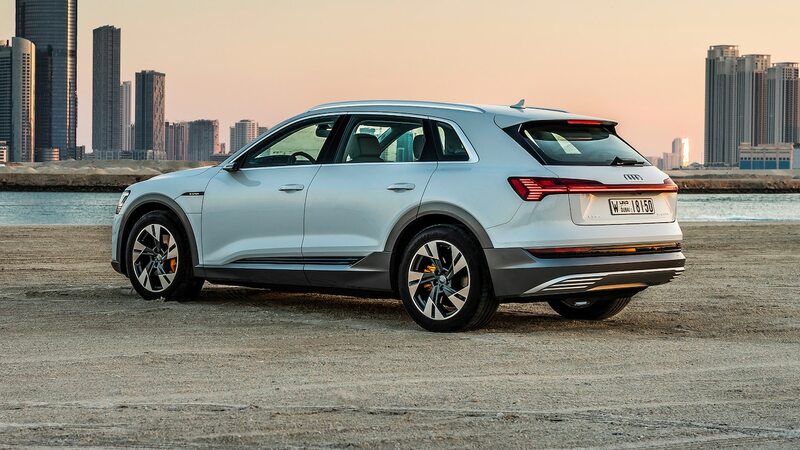 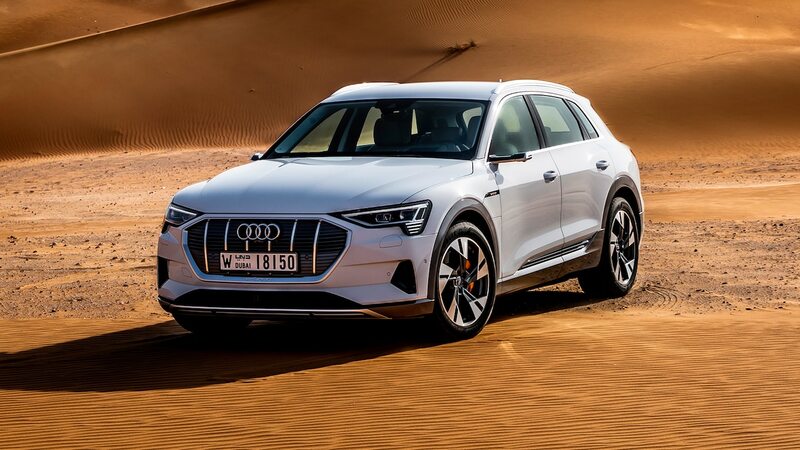 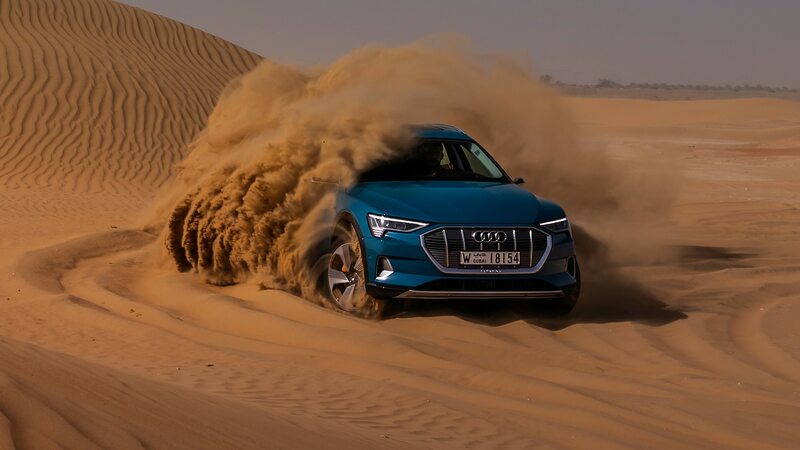 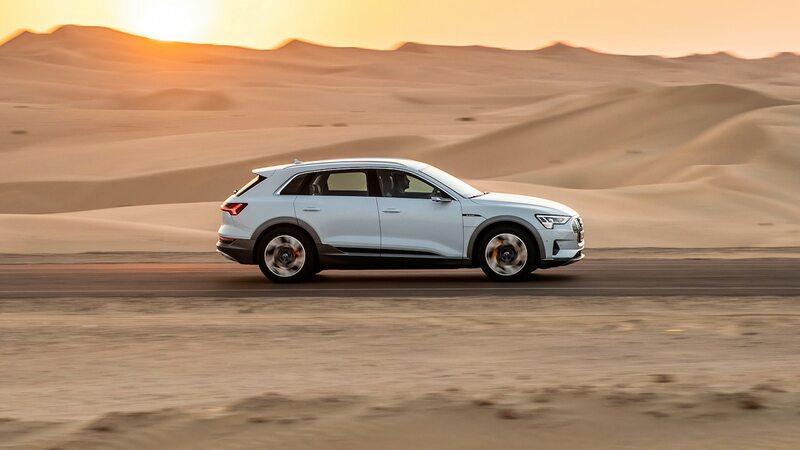 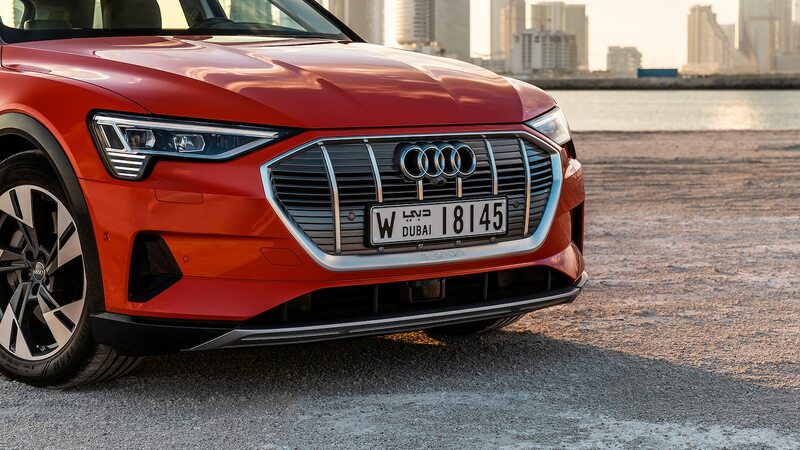 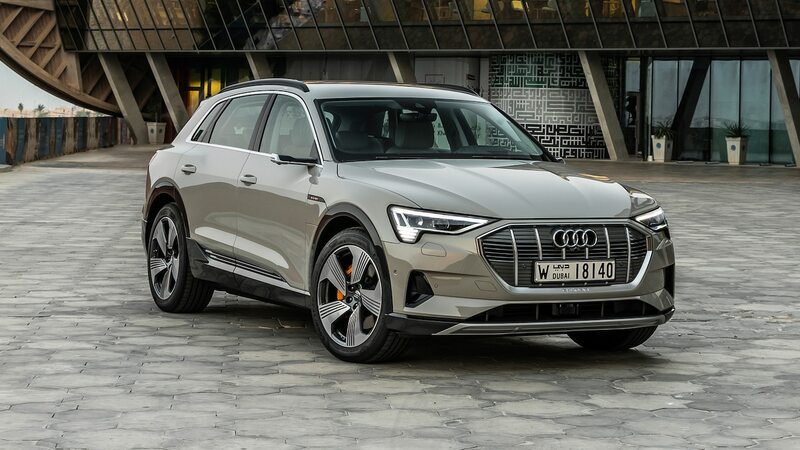 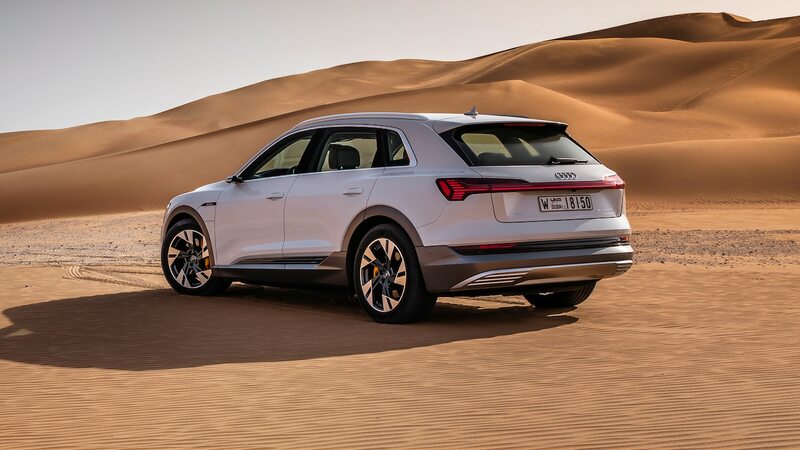 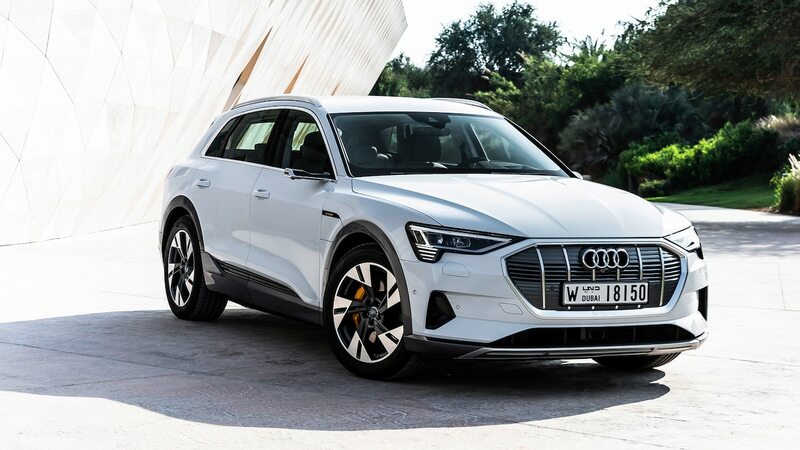 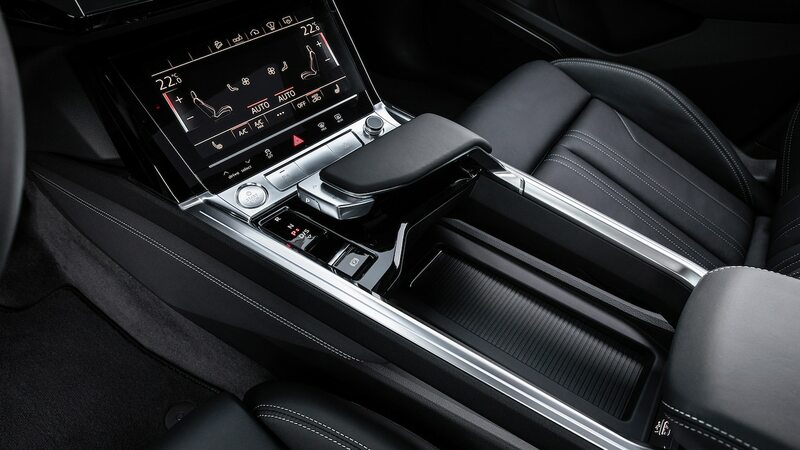 To further compensate for the higher price, Audi bests Jaguar with its ability to charge at 150 kilowatts at high-speed public charging stations. 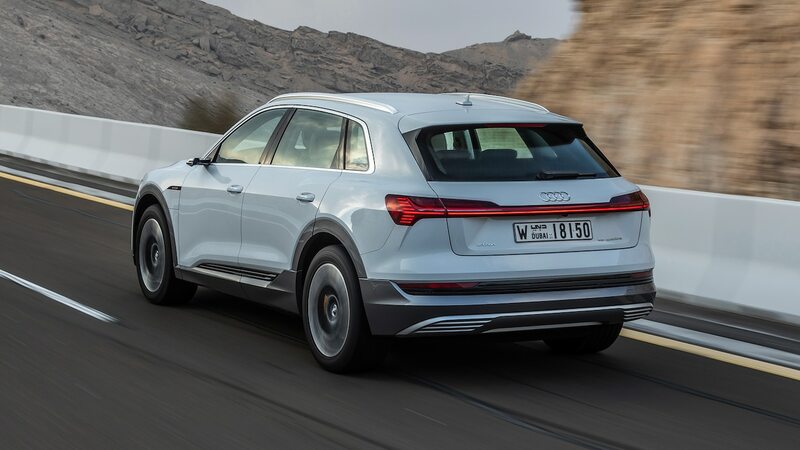 The SUV can recuperate 54 miles (87 km) in 10 minutes, and 163 miles (262 km) in 30 minutes, the automaker estimates. 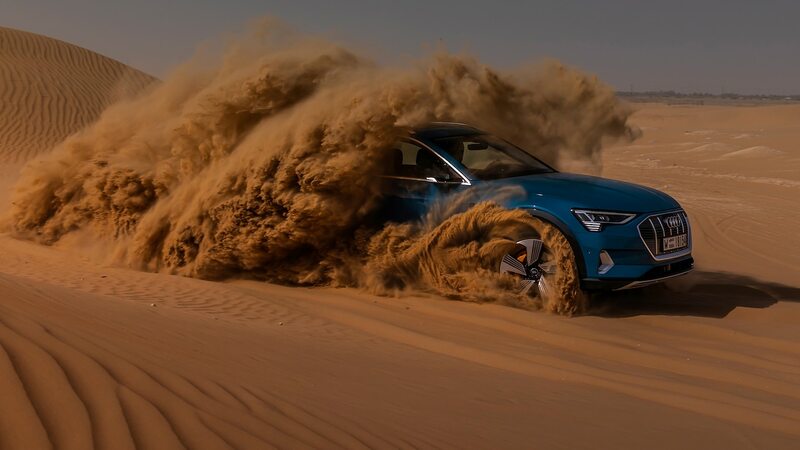 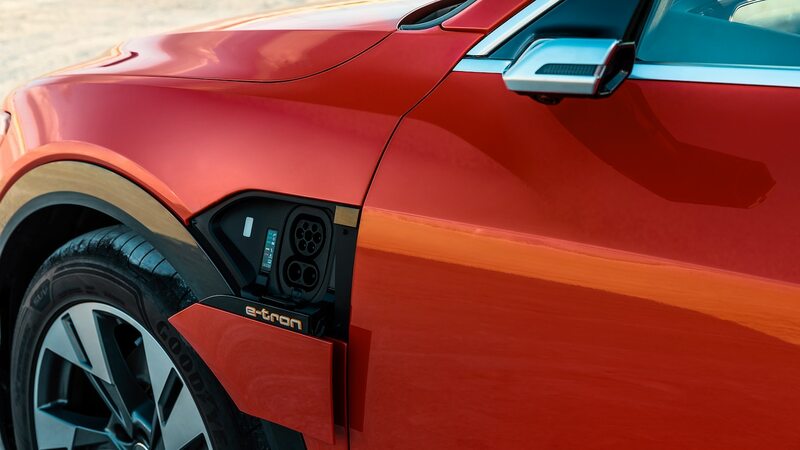 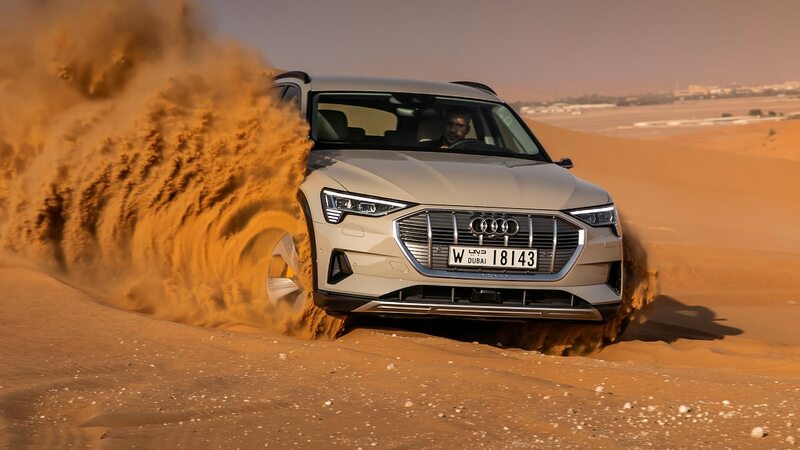 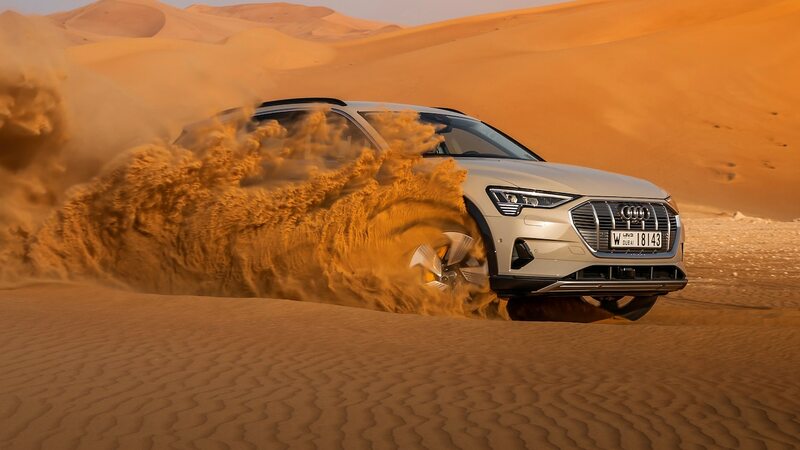 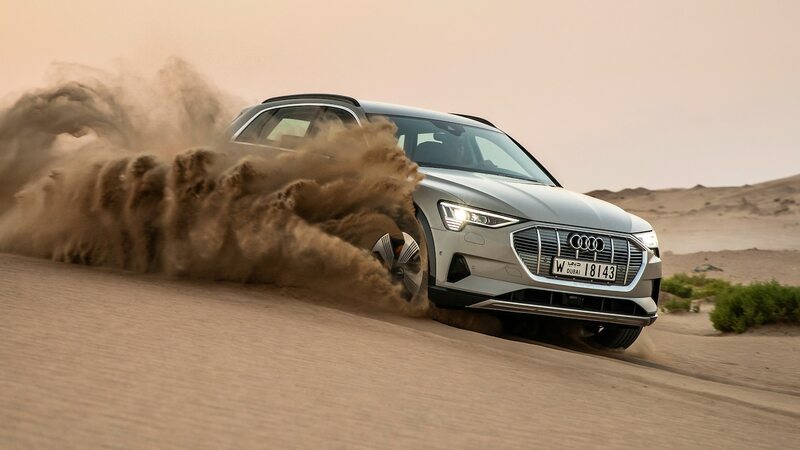 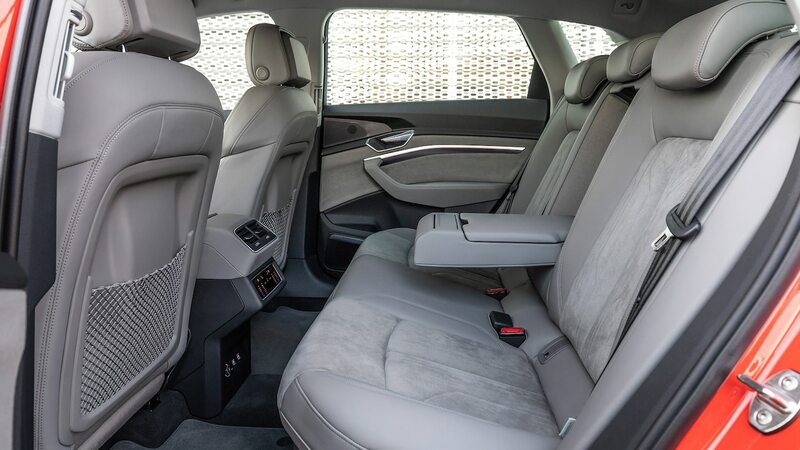 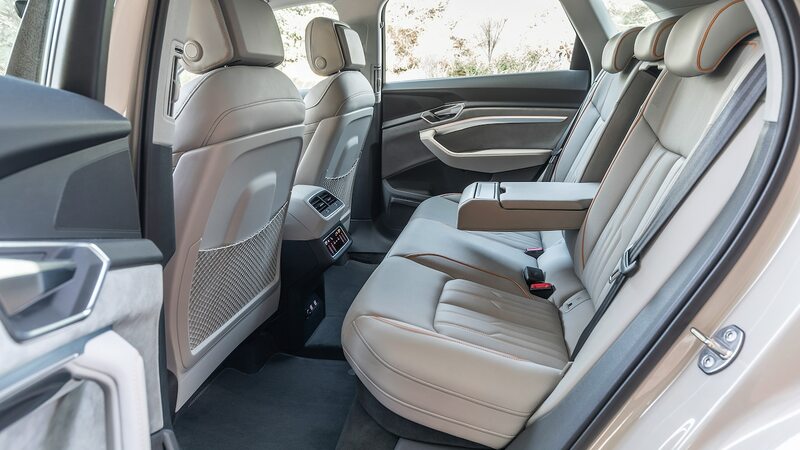 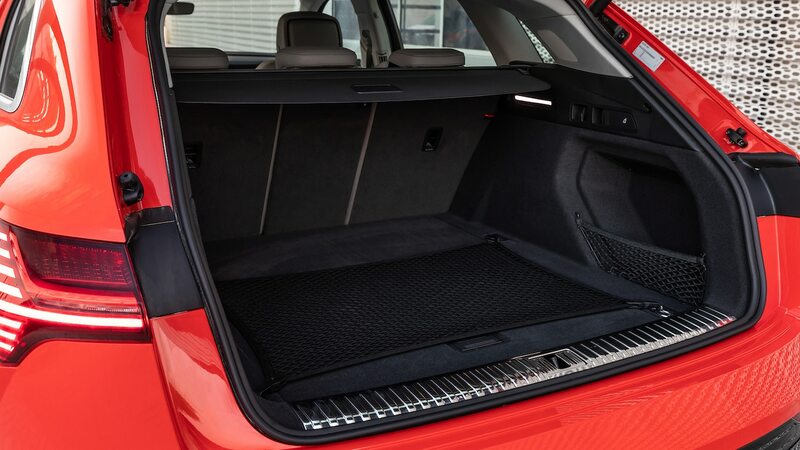 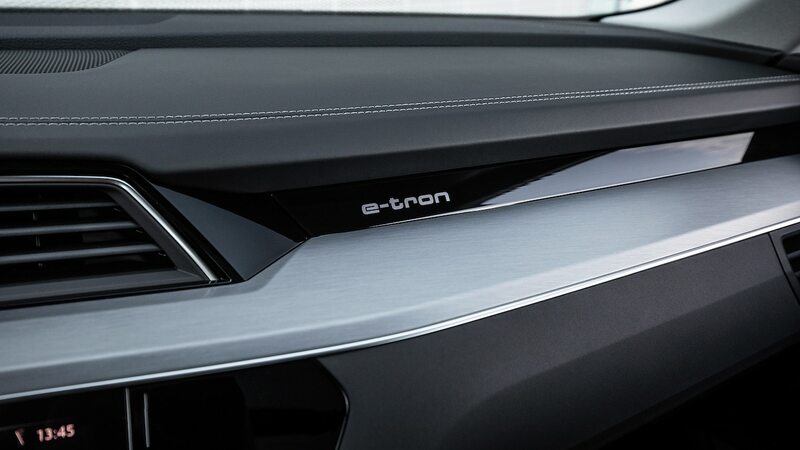 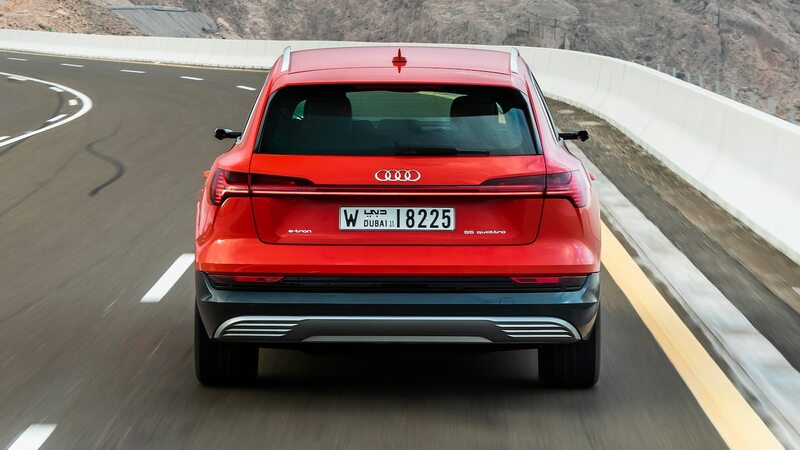 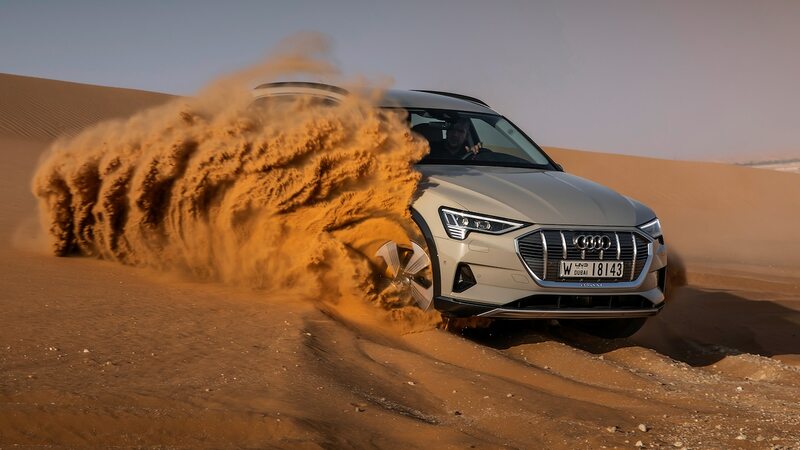 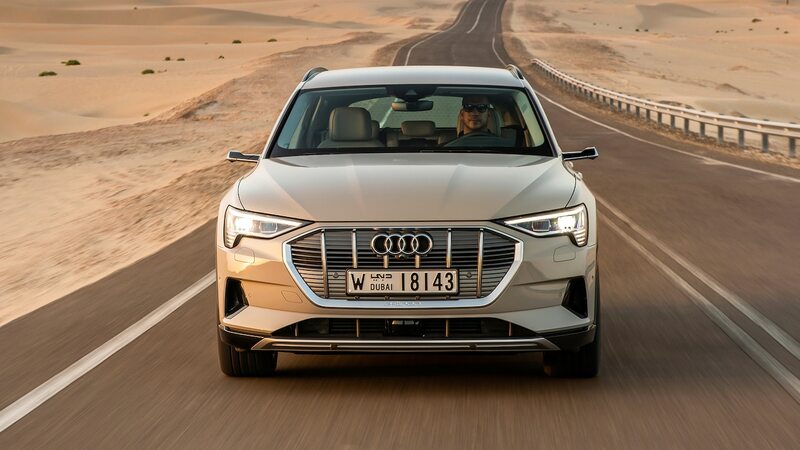 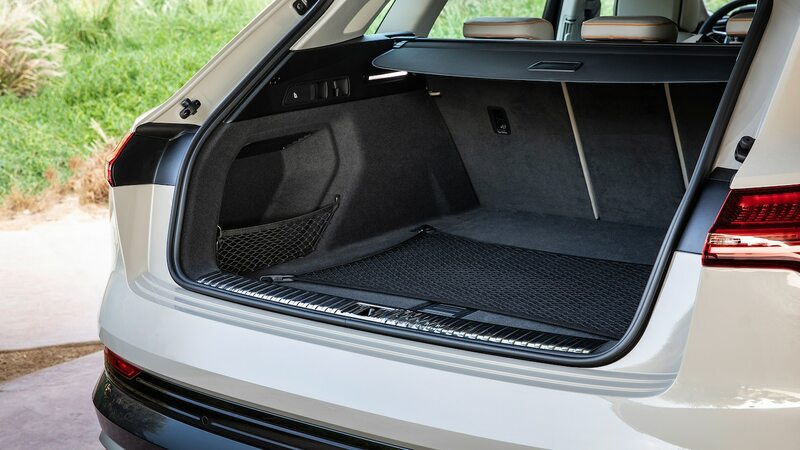 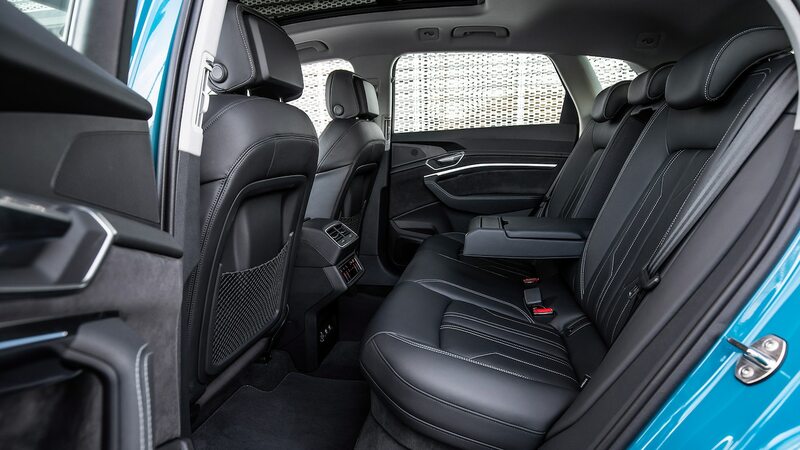 With motors mounted front and rear, the E-Tron comes with standard all-wheel drive. 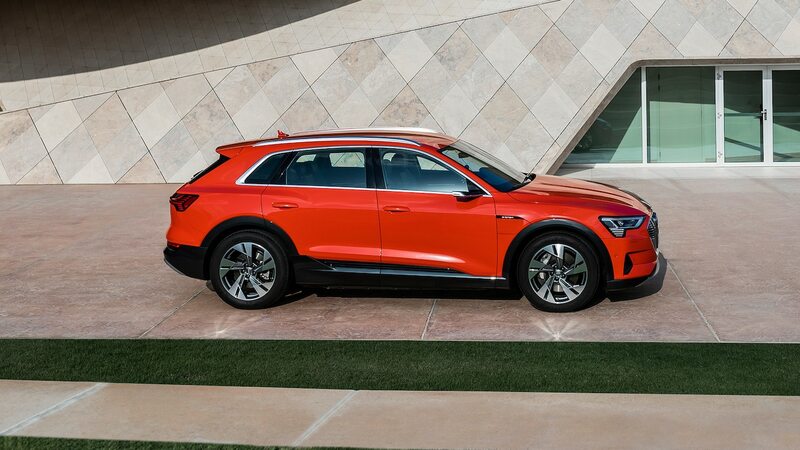 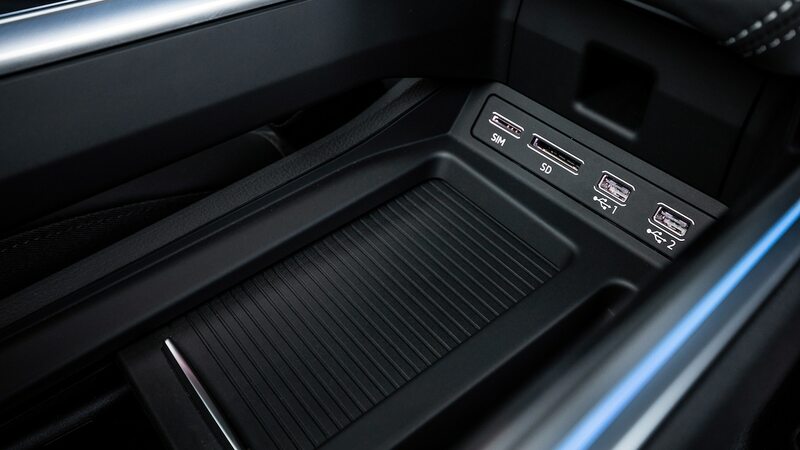 A 95-kW-hr battery pack helps the SUV deliver 355 hp and 413 lb-ft of torque (402 hp and 489 lb-ft of torque in Boost Mode). 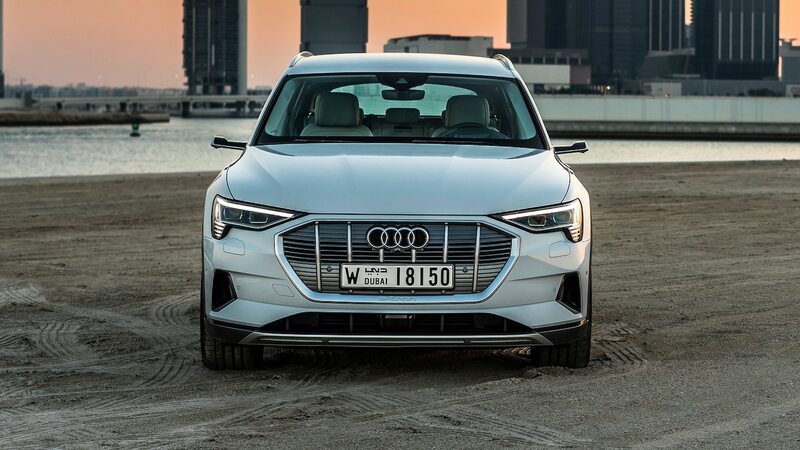 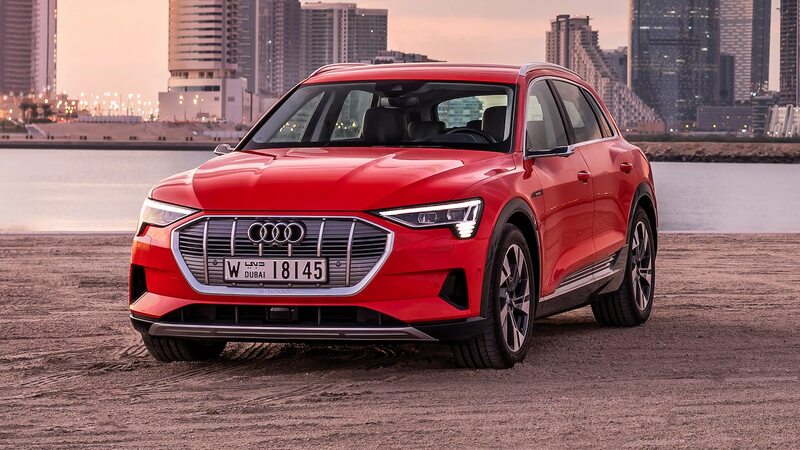 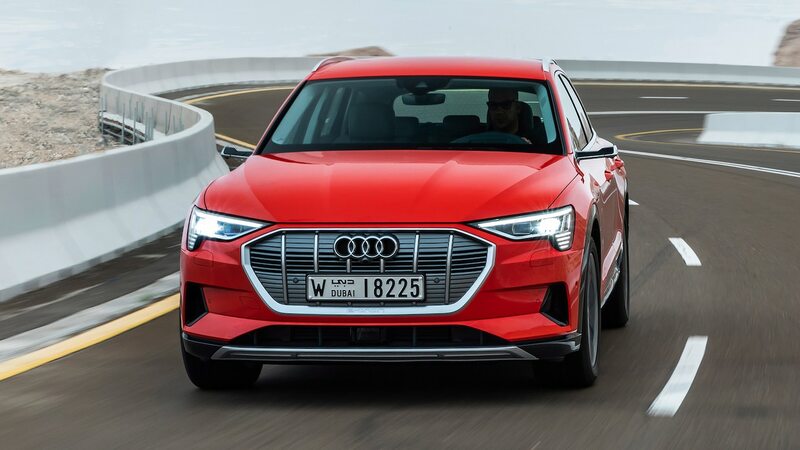 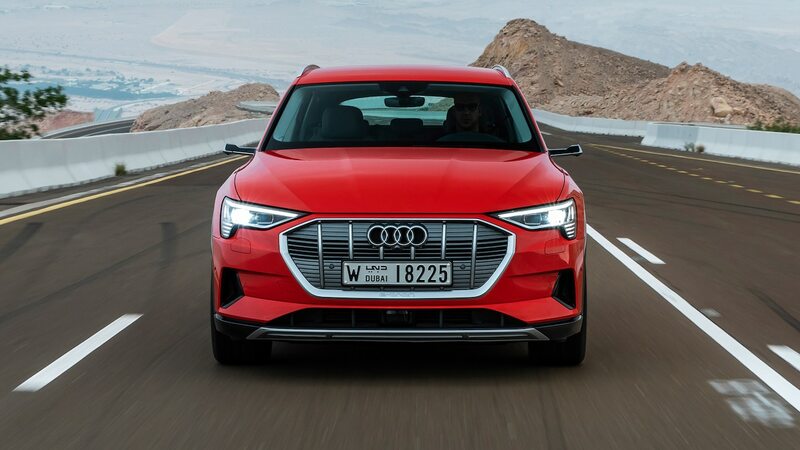 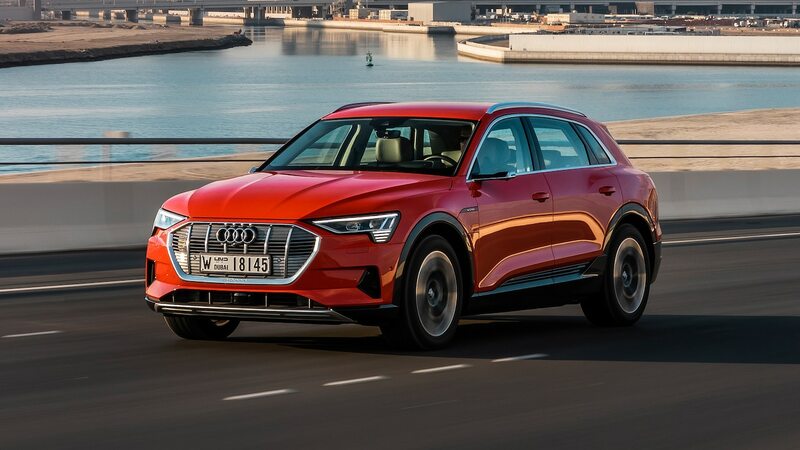 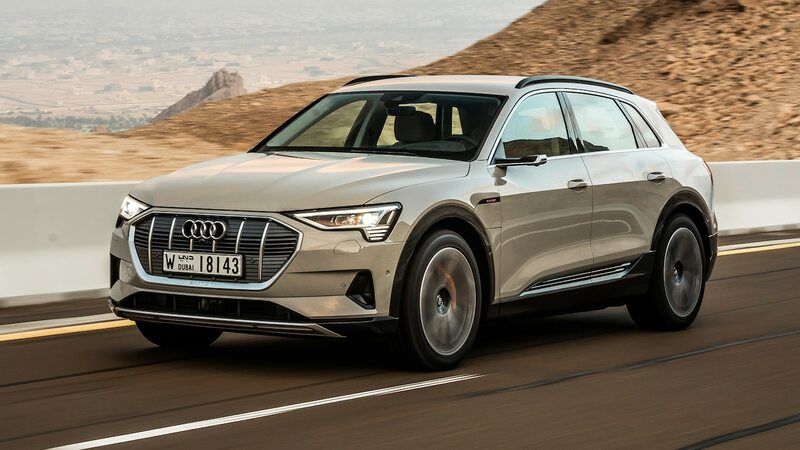 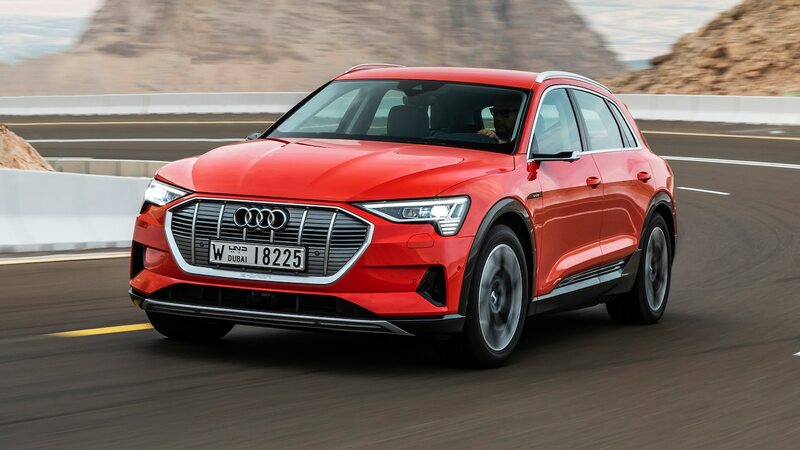 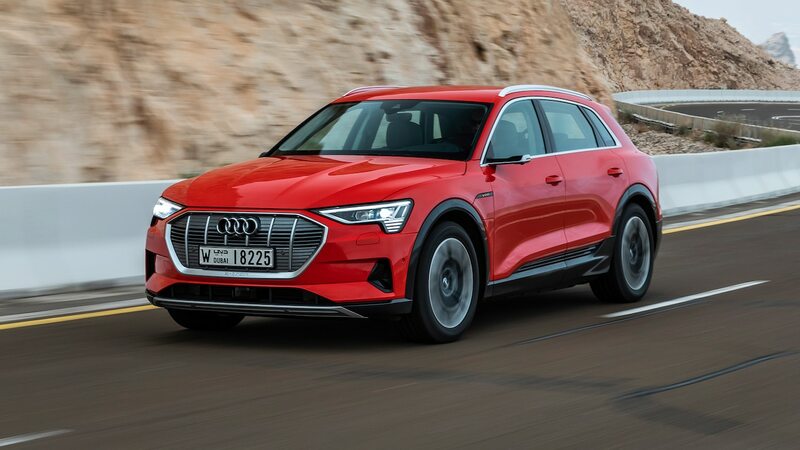 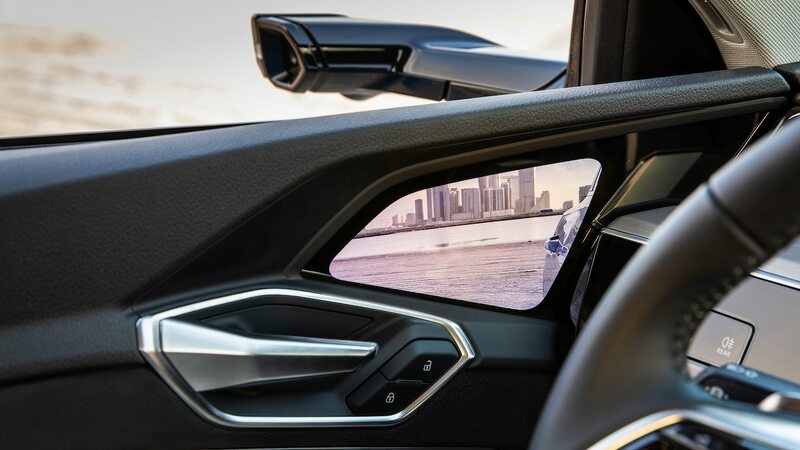 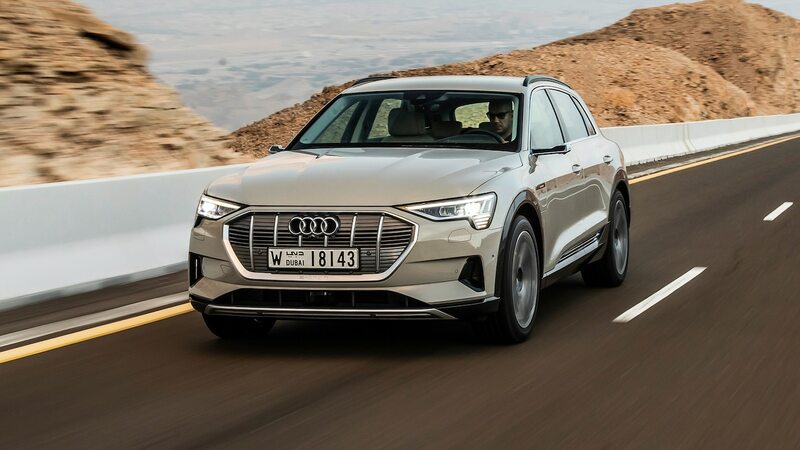 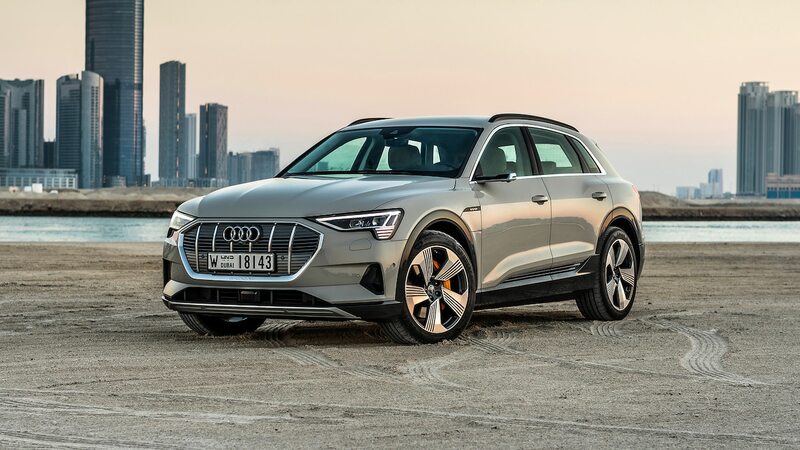 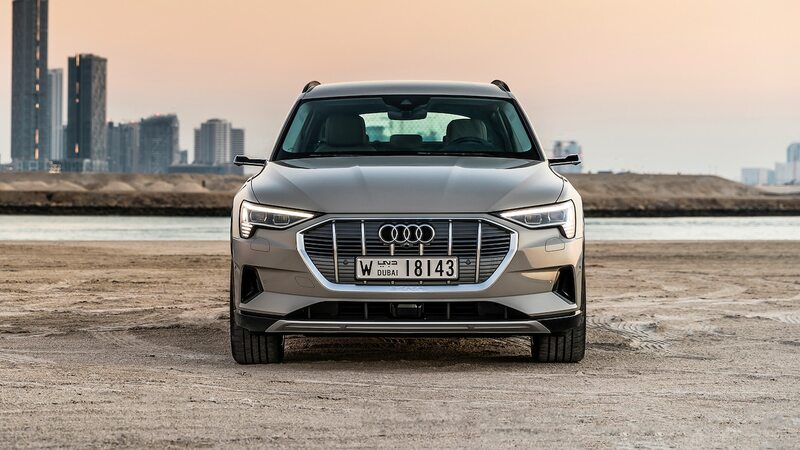 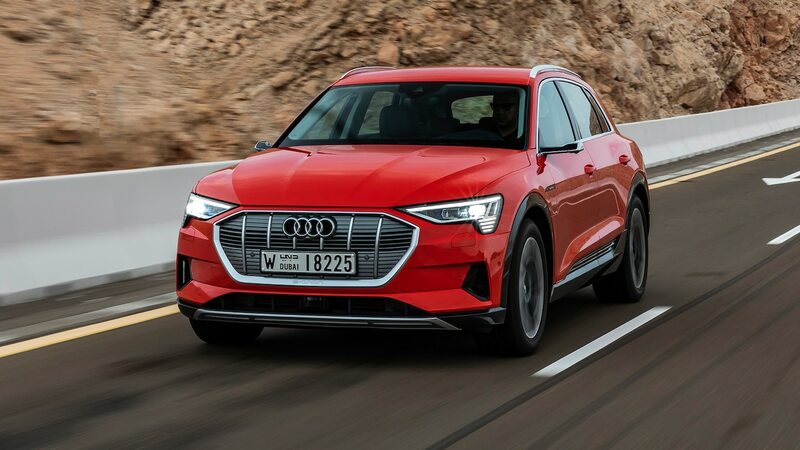 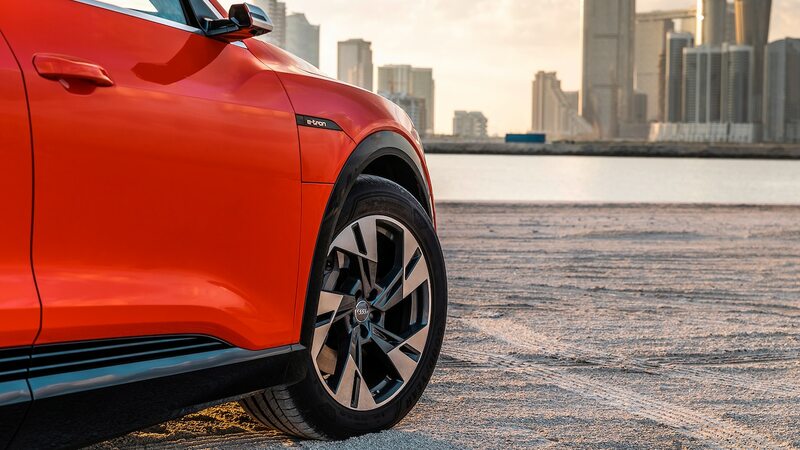 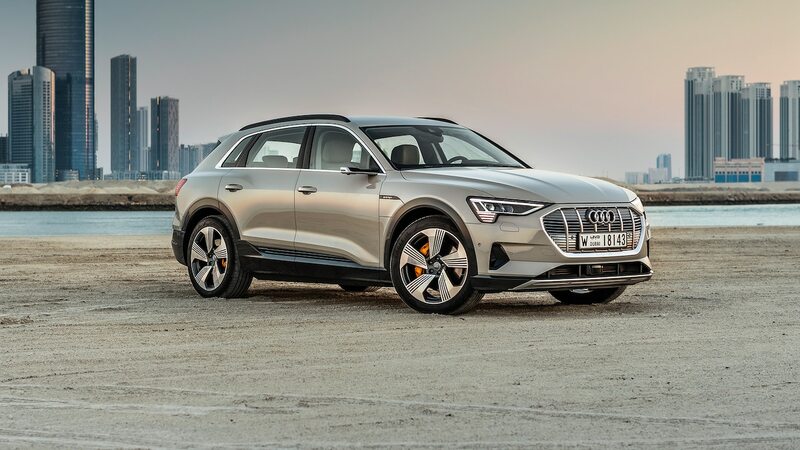 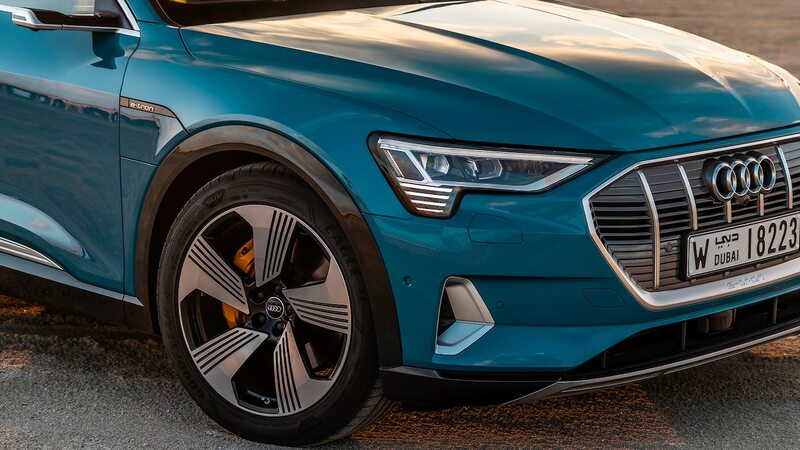 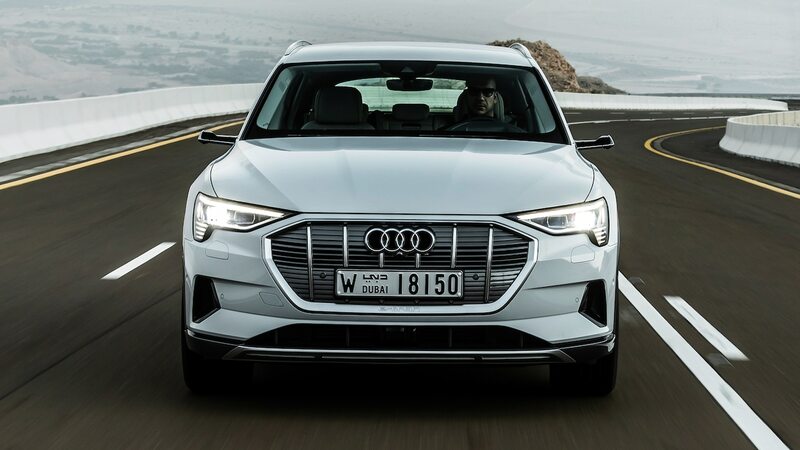 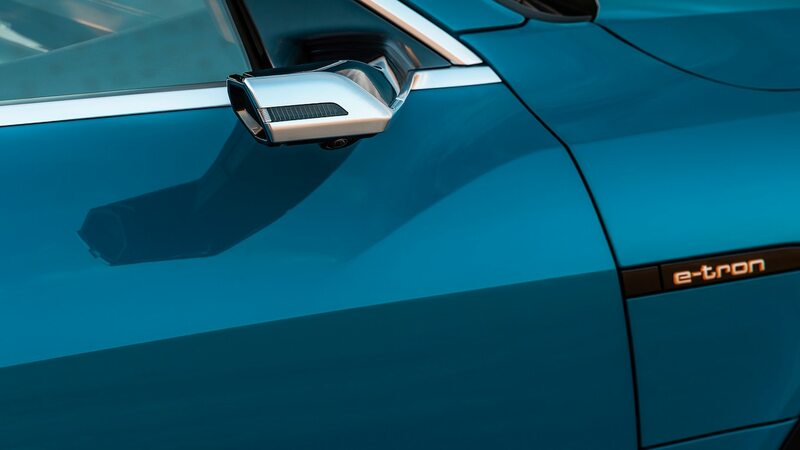 We look forward to getting the E-Tron in for a thorough test, where we’ll see how its manufacturer-estimated 0-60 time of 5.5 seconds holds up.